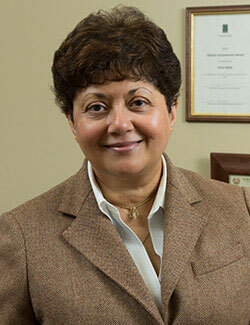 Usha Haley is full (tenured) Professor of Management at West Virginia University. Previously, she was full Professor of International Business (US chaired, tenured, full-professor level) at Massey University, Auckland, New Zealand. Other full-time faculty positions in International and Strategic Management include at the University of New Haven, University of Tennessee-Knoxville, New Jersey Institute of Technology/Rutgers, Australian National University, National University of Singapore and ITESM-Monterrey, Mexico. She has taught graduate courses at Harvard University, and Purdue University among others, and in executive-development programs in the USA, Australia, Russia, Hungary, Mexico, Vietnam, Italy, Finland, India and Singapore. Her research focuses on multinational corporations and international strategic management, especially in Asian and emerging markets, including business-government relations, governance, business and society, strategic decision-making, innovation, sanctions and subsidies. She has 268 publications and presentations including 31 journal articles (in Journal of International Business Studies, Human Relations, Journal of Management Studies, Technological Forecasting & Social Change, California Management Review, and Harvard Business Review, among others), 7 books, 2 on international best-seller lists, and 38 book chapters. Her books include Subsidies to Chinese Industry (headlined twice in the Economist, reviewed in Strategy+Business as “important” and “influential”, and China findings described by JP Morgan as “with no equal in terms of scope, breadth and impact”); Multinational Corporations in Political Environments (reviewed in the Wall Street Journal and Academy of Management Review); Chinese Tao of Business (reviewed in the Wall Street Journal as the only business book on Asia to buy); and, New Asian Emperors (reviewed in the Economist as an “important study”). Usha has testified before the US Senate (2013) on Shuanghui’s takeover of Smithfield Foods, considered the most important case on FDI in a decade. She also testified on her research on China/Asia to the USCC (2006) and twice before the Committee on Ways and Means (in 2007), including on federal legislation, the Non-market Economy Trade Remedy Act (2008) whose findings were incorporated into US regulation (HR 1229). She presented her research before the US International Trade Commission (2007, 2009, 2010), US Department of Commerce and US Trade Representative (2009, 2010). She was nominated to join the US delegation on the Steel Dialogue with China (2008) and advised on the US-China Joint Commission on Commerce and Trade (2009), the primary trade dialogue between the two countries. Her research on Chinese subsidies has served as the basis of 3 pieces of anti-dumping regulation in the European Union (2009, 2010). Competitive research grants she received as Principal Investigator include from the National Science Foundation (2017) for international technology development; Academy of Management (AOM) for a strategic initiative on scholarly impact (2015); USCC (2014); and, the National Research Center for Coal & Energy (2014). She co-Chairs the All Academy AOM Practice Theme Committee on external engagement through research. She serves/served on 8 corporate, non-profit and governmental planning and advisory boards, including USGlass Inc., Elea-Olivetti (Italy), Emerald Publishing (UK), World Affairs Council and Hainan Province (China). She sits on 5 academic journals’ editorial boards, serves as founding co-Editor in Chief for the new Journal of Strategic Contracting and Negotiation (Sage), served as Regional Editor for 3 journals, and edited 4 journal special issues on strategic management. She is co-Editor-in-Chief of the new book series Multinational Investment and Business for Imperial College Press. Her service on national and international review boards includes the National Science Foundation (2017), Marsden Fund, New Zealand (2009) and Networks of Centers of Excellence, Canada (2007). She has served 23 times as keynote speaker including at the Brazilian Steel Institute, Brazil (2016), Latin American Steel Industry Association, Argentina (2015), Global Economic Summit, India (2014), Organization for Women in International Trade (2014), Center for Strategic and International Studies (2013), Timbro, Sweden (2013), Foreign Correspondents Club, Hong Kong (2013), ITESM, Mexico (2009), National Committee on US-China Relations (2007), TIE-The Indus Entrepreneurs (2006), and, Trinity College, Cambridge University, UK (2005). Her expertise has been profiled more than 490 times in the international media (almost weekly over the last decade) including multiple times in the New York Times, Wall Street Journal, Financial Times, USA Today, Guardian, CNN, Economist, Barron’s, Entrepreneur, National Business Review, Australian, PBS, and NPR. In 2012, she received the Academy of Management’s Practice Impact Award for scholarly impact. In 2011, she was featured as “thought leader” on emerging markets at the Economist’s flagship High-Growth Markets Summit, London. In 2003, she received Emerald Publishing’s Lifetime Achievement Award from a panel of academics, businesspersons and policy makers for contributions to understanding Asia Pacific business. In 2010, she was named an American Made Hero for her work on behalf of US manufacturing. Her numerous teaching awards include University Lecturer of the Year in 2011. Her PhD is from the Stern School of Business, New York University, with Master’s degrees from New York University and the University of Illinois at Urbana-Champaign, and a Bachelor’s degree from Elphinstone College, Bombay, India.